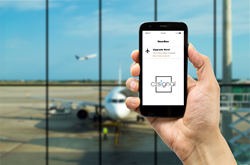 C2Signal launches with proximity marketing opportunities for Bay Area businesses. C2Signal, a San Francisco based marketing technology startup, will officially launch its services beginning March 5, 2018. The company offers proximity marketing solutions with the use of Bluetooth Low Energy (BLE) beacon technology. The compact devices can transmit customizable offline messages to smartphone users within 50 meters. It’s estimated that 60 million beacons will be shipped by 2019 and drive billions of dollars in retail sales. Businesses can benefit from beacons since the applications are boundless. Not only can smartphone users receive notifications about local offers and scannable bar-coded coupons but it can also be used for customer satisfaction surveys, an itinerary, or even a self-guided tour. If a person with an Android smartphone has their Bluetooth and Nearby enabled, they will see the beacon-based notification alert. iOS users will require a downloaded an app to see the nearby notifications; this extra layer makes the alerts non-intrusive. C2Signal has three different subscription plans: Starter, Standard or Premium. The service comes with a set of devices that range in size from a compact 2.5” device to a keychain beacon. All plans start with a 15-day trial. Clients can see a daily tracking report on the number of notifications and clicks sent and a scorecard to measure the effectiveness of the content. Additionally, the beacons are rentable for trade show booths, conferences and special events. C2Signal will also serve as an agency to foreign companies wishing to establish a limited presence in the US and accept limited project management services for trade shows and conferences.